Gram Stain Book | Polysciences, Inc. There are several medical mycology textbooks that contain a chapter on direct microscopy. However, this textbook is the first of its kind, as it discusses the simple Gram stain procedure as a valuable tool for the detection of fungal elements. This book has been specifically designed for people working in the medical microbiology laboratory with little or no practical experience in medical mycology. The central idea presented in this textbook begins with the Gram stain for the detection of fungi; the most important and more frequently isolated opportunistic and potentially pathogenic fungal species have been included. The book contains more than three hundred color images, the majority of which come from direct smear examination, such as Gram stain and other staining procedures. The mold phase and the microscopic structure of the identified fungal species relating to the initial findings of the direct smear have been linked to avoid bias. When a fungal infection is present but not suspected clinically, the Gram stain may be the only clue to the true cause of the infection. Although there are better methods than the Gram stain for visualization of fungi, these methods are only performed if there is clinical suspicion for fungal disease. Clinicians often send specimens for bacterial culture, but they sometimes overlook requests for fungal culture. During such times, the Gram stain is the only technique available in the clinical microbiology laboratory for direct detection of fungi from these specimens. The presence of fungi should not be overlooked during the direct examination of the clinical specimens for bacteria. 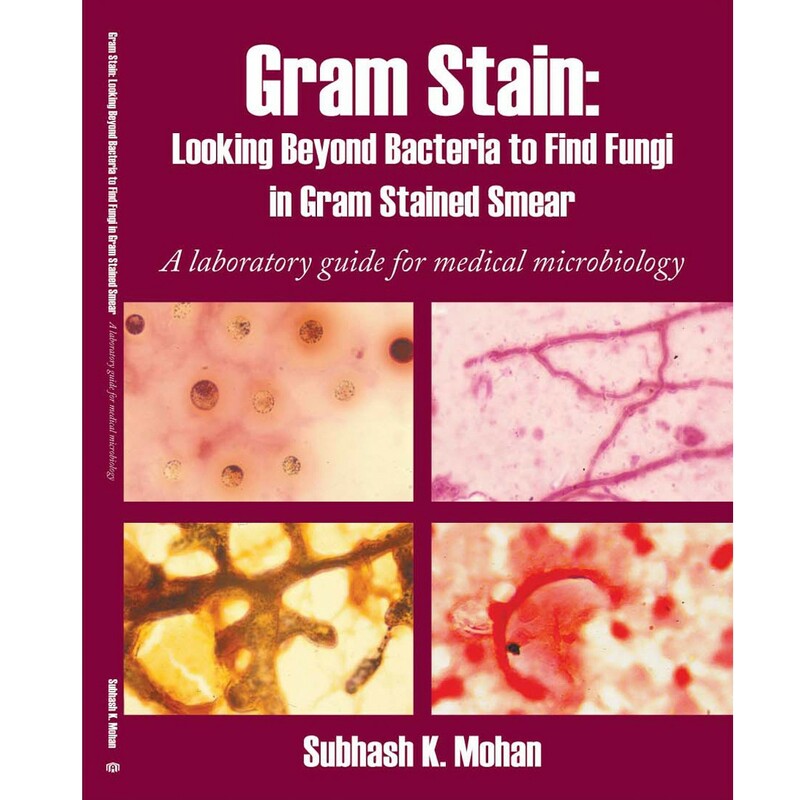 This book will guide the reader in the recognition and identification of fungal elements in gram-stained smears, especially when they are distorted and remain unstained and undetectable. This new textbook focuses on the detection and classification of fungal elements in Gram stains. Newly developed flowcharts, clues, and key details regarding structural characteristics have been added to guide the reader in the right direction. Throughout the years, the author has accumulated many scenarios in which fungal elements were not detected on the original Gram stain evaluation but were found to be positive upon review once the culture grew a fungus. Finally, the book contains a chapter with a practice examination including microscopic images representative of scenarios commonly encountered in the clinical microbiology laboratory. There are several medical mycology textbooks that contain a chapter on direct microscopy. However, this textbook is the first of its kind, as it discusses the simple Gram stain procedure as a valuable tool for the detection of fungal elements. This book has been specifically designed for people working in the medical microbiology laboratory with little or no practical experience in medical mycology. The central idea presented in this textbook begins with the Gram stain for the detection of fungi; the most important and more frequently isolated opportunistic and potentially pathogenic fungal species have been included. The book contains more than three hundred color images, the majority of which come from direct smear examination, such as Gram stain and other staining procedures. The mold phase and the microscopic structure of the identified fungal species relating to the initial findings of the direct smear have been linked to avoid bias. When a fungal infection is present but not suspected clinically, the Gram stain may be the only clue to the true cause of the infection. Although there are better methods than the Gram stain for visualization of fungi, these methods are only performed if there is clinical suspicion for fungal disease. Clinicians often send specimens for bacterial culture, but they sometimes overlook requests for fungal culture. During such times, the Gram stain is the only technique available in the clinical microbiology laboratory for direct detection of fungi from these specimens. The presence of fungi should not be overlooked during the direct examination of the clinical specimens for bacteria. This book will guide the reader in the recognition and identification of fungal elements in gram-stained smears, especially when they are distorted and remain unstained and undetectable. Throughout the years, the author has accumulated many scenarios in which fungal elements were not detected on the original Gram stain evaluation but were found to be positive upon review once the culture grew a fungus. Finally, the book contains a chapter with a practice examination including microscopic images representative of scenarios commonly encountered in the clinical microbiology laboratory.